Adolescent marijuana use may alter how neurons function in brain areas engaged in decision-making, planning and self-control, according to researchers at the University of Illinois at Chicago. 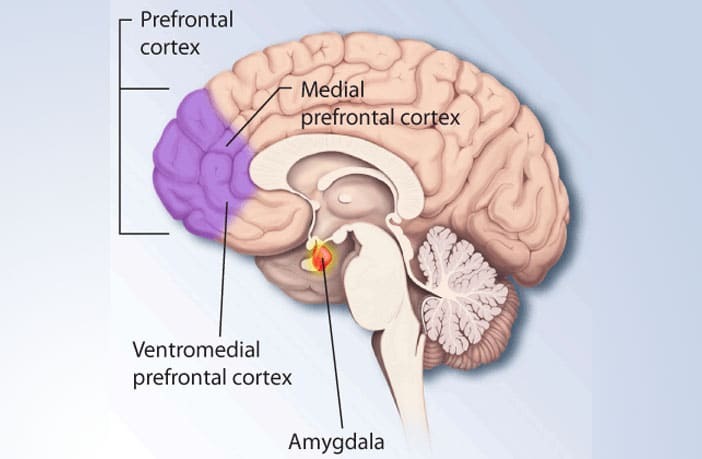 The findings, which were presented at Neuroscience 2018, the annual meeting of the Society for Neuroscience, are the result of an animal model study focused on the structural development of the prefrontal cortex, or PFC, which controls high-level cognitive functions. Within the PFC, a support structure called the perineuronal net forms a lattice of proteins around inhibitory cells, helping to secure their connections with excitatory neurons and regulate PFC activity. Perineuronal net formation is sensitive to drug use, but the effects of marijuana are not known. To investigate how adolescent marijuana use affects perineuronal nets in the PFC, the UIC researchers gave adolescent rats a synthetic cannabinoid which was similar to THC, the main psychoactive compound in marijuana, for one day, 10 days, or 10 days followed by a period of abstinence. They then compared perineuronal net structure in these rats to those in drug-free animals. Animals exposed to the cannabinoid showed a reduction in net development around inhibitory cells during adolescence, and this reduction was more common in male animals. Recreational use of marijuana is among the risky choices often made by adolescents, and likely to become more prevalent with greater availability due to its shifting legal status in some states and Canada. These impulsive choices are taking place during a key period of brain development and could have costs later in life, according to the researchers. Hu Chen, UIC research assistant professor of psychiatry, and Amy Lasek, UIC associate professor of psychiatry, are co-authors on the paper.